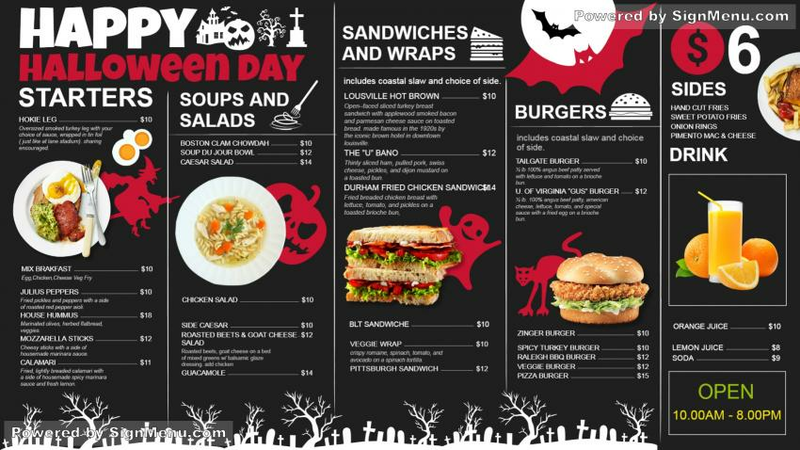 A very stylish Halloween menu . The multi-color graphics is well synchronized with the chalk board menu board. The white color also creates the Halloween mood and flavor by portraying an eerie ambiance. For fun purpose exactly! On a digital platform this template will be the talk of the town.